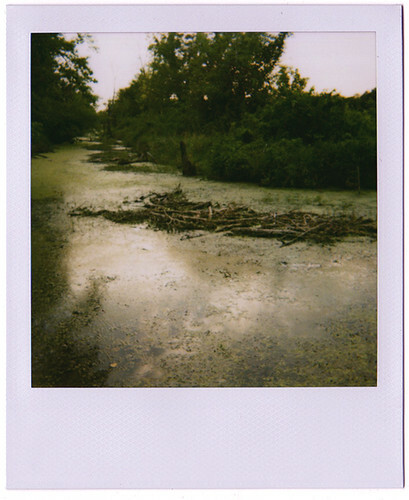 This is one of my favorites from my AUGUST POLAROID PROJECT. (I have been uploading the images daily to the post below, if you want to see them all.) This image I took on August 5. I like the way the light hitting the algae covered water looks silver. Where did the month go? August flew by yet the beginning seems faw away. It was my one month free from teaching and now I'm back in preparation for the new school year. All this week we've been cleaning and organizing the rooms. Tomorrow is our open house and classes begin next week. AND tomorrow is the last day of this polaroid project. I will miss it but I do have more work to do with the pages. I have had several ideas for a September project, yet I may wait until October for my next daily project.